What's In A Word? A 'Dictionary' Of Americanisms Sky looking a little slatchy to you? Want another helping of slang-jang? 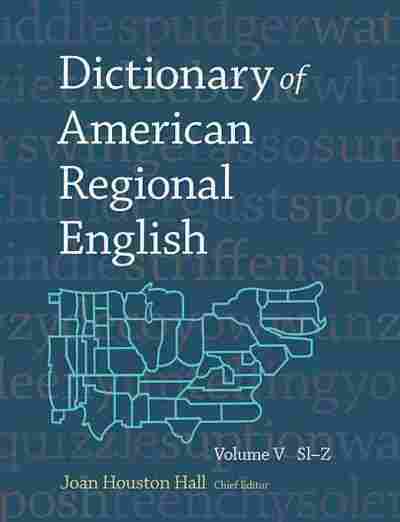 The final volume of the Dictionary of American Regional English, a 50-year project to document English across the U.S., is a treasure trove of history and local color. One of the joys of reading books set in another time or another place is the foreignness of the language, even if that language is English. Locutions unknown in your backyard wing through the pages like unfamiliar birds. If they look different than the words you know, it's because they've evolved to fit another linguistic ecosystem: that's how people there talk, with the words necessary to describe their lives. "Suddenly Grandma stopped laughing. She turned and ran as fast as she could into the kitchen. The fiddle had stopped playing ... everybody was still for a minute, when Grandma looked like that. "'The syrup is waxing. Come and help yourselves.'" At this, everyone races outside, fills plates with snow and comes back for Grandma to pour hot maple syrup onto the snow, where it turns into soft candy. Gloriously, the children are allowed to "eat all they wanted, for maple syrup never hurt anybody." But what is this "waxing" — a word powerful enough to bring an entire dance party to a halt? One-hundred-forty years later, in a world where a night's entertainment rarely depends on the cooking stages of maple syrup, it's a term few of us recognize. Fortunately, there is a guidebook: the lexicographical analogue of Audubon's Birds of America. I'm referring to the Dictionary of American Regional English, a 50-year project to collect English as it has been spoken in various parts of this country. The fifth volume, covering Sl through Z, was just published this month. If you're the kind of person who is delighted to stumble across one strange new word in a book, you may find reading this enormous volume to be an almost excessive pleasure. Flip open Volume V, and there it is: wax, or maple sugar wax, or wax on snow, used largely in the northeast, but apparently extending as far west into maple sugaring country as Wisconsin. The dictionary includes a 1954 quotation suggesting that festivities similar to the Ingalls family's continued into the 20th century: "Now and then 'snow parties' do take place these days, with singing and dancing in the kitchen by the stove and the chief point of the party, eating 'wax on snow.'" 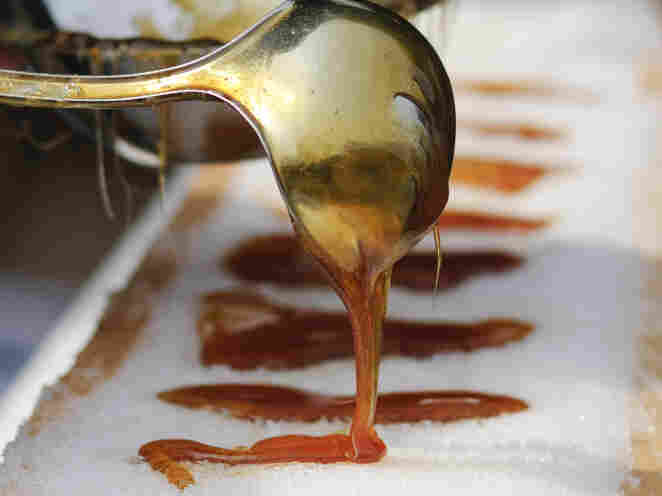 The "snow parties" of the last century popularized "waxing," the pouring of maple syrup on snow to produce a chewy candy. Like the Oxford English Dictionary, this series builds a history of each word through chronologically ordered quotations, many taken directly from field interviews with local "informants." For this reason, the Dictionary is a book you can actually sit down and read — not just for colorful words and quotations, but also for a tour of actions, objects, creatures and categories central to far-off or vanished pockets of American life. Some entries point to regionally distinctive obsessions. It makes sense that seafaring inhabitants of the New England island of Nantucket would need a word, slatchy, for a sky that mingles stormy weather with patches of blue, or that in the South, where sweetened iced tea flows like water, the peculiar alternative must be distinguished as unsweet tea. But more of the terms seem simply to reflect our past. It's striking to note all the words for the diverse things people used to invent and make — games (three-kitten-mitten), food (soft pie), and so on — which have now been replaced by nationally marketed, off-the-rack products (Angry Birds, Oreos). Equally notable are the local words for birds, fish, animals and plants whose names, in these days of urbanization and supermarket chains, we have largely forgotten. Some words serve as little windows onto a whole moral world: the sooner child, or one born less than nine months after the wedding, or the rather sweet phrase take notice to describe a widow or widower beginning once again to consider a possible romance. Sometimes you need to read the quotes to understand a term's power, as in this tantalizing snippet of a Los Angeles trial in the entry for snake hips: "The defense attorney asked: 'In the part of the hula you did do, did you do the snake hips?' 'No,' Hall said ... 'Was Mrs. Dorsey dancing the snake hips?' 'Yes, the snake hips, the hula, or whatever you call it.'" (It's all fun and snake hips until someone loses the end of his nose, evidently.) And sometimes the greatest shiver comes from the sources themselves. In a description of a dish called slang-jang, apparently a kind of terrible convenience-food gazpacho with raw oysters thrown in, the first recipe comes courtesy of the Texas-based Kute Kooking Klub — yes, the good cooks (kooks?) responsible for the 1894 KKK Cook Book. Writers have always been fascinated by the lexicons of various regions: It is these words that make writing feel authentically of a place. In Let Us Now Praise Famous Men, James Agee diligently notes that Alabama cotton farmers plow fields with a twister—an implement also known as a turn shovel or turning plow, the Dictionary confirms. Frank Stanford's long 1977 bayou poem The Battlefield Where the Moon Says I Love You mentions a "crew of vines and snakes and vinegarroons," and that last word roots the line firmly and beautifully in the South. 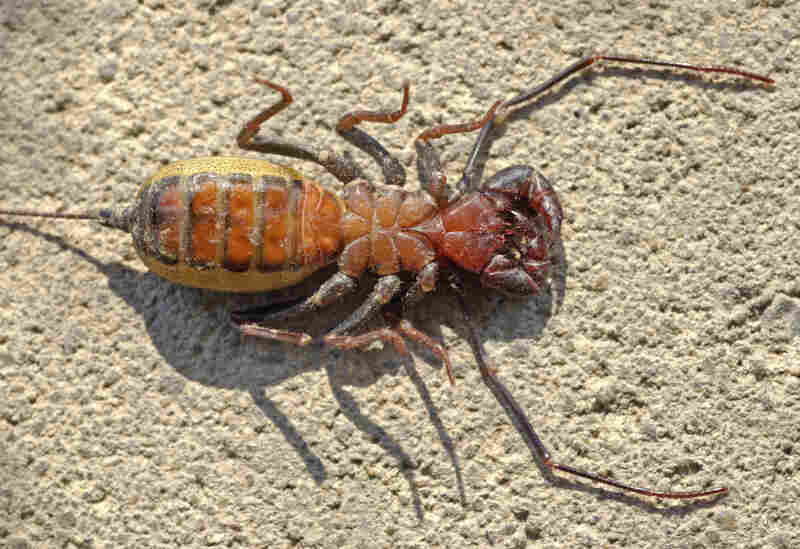 (Vinegarroon, according to the Dictionary, is another name for the frightening whip scorpion, which emits a vinegary stench when provoked). Such marvelous words are sprinkled through our national literature; without your own team of roaming lexicographers, there is probably no easier way to browse America's past ways of living and talking than to read its books. But Dictionary of American Regional English gathers all these terms into one place, together with samples of the voices and stories and songs that gave rise to them. It's the rare American book whose roots extend not just to one region but to all of them. Amanda Katz is a commentator for NPR Books and the deputy editor of the Boston Globe Ideas section. You can follow her on Twitter @katzish.